Are you applying for jobs as a lifeguard? Use these resume and cover letter examples to get ideas for your own application materials. Take the time to match your resume and letter to the job description. The closer the fit, the better your chances of getting selected for an interview. The following is a resume for a summer lifeguard position. Since the job seeker is a student with limited work experience, she has included volunteer experiences and leadership positions in high school sports and extracurricular activities. This resume includes sections on education, experience, and related certifications. Download the lifeguard resume template (compatible with Google Docs and Word Online) or see below for more examples. Organize bi-weekly reading circle with members of local senior citizen center. Sell baked goods to faculty and students for annual Honors Society fundraiser. Design and instruct a weekly arts and crafts activity for children ages 8-12. Organize athletic activities including basketball and softball tournaments for children ages 8-15. Greet parents at the end of each day, discussing children’s behavior and accomplishments. 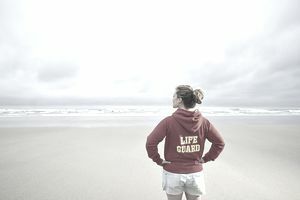 Here's an example of an email cover letter for a summer job as a lifeguard. Be sure to include your contact information in your signature, so it's easy for the employer to get in touch with you to schedule an interview. This is a cover letter example for a lifeguard. Download the cover letter template (compatible with Google Docs and Word Online) or see below for more examples. Please accept my enthusiastic application for the lifeguard position at the Middletown Town Pool. As soon as I read the description of the position on HotSummerJobs.com, I knew I was an ideal candidate for the position. You state in the job posting that you require a lifeguard with experience working with children. For nearly three years, I have volunteered at the East Middletown after-school program. In this position, I have gained experience working with children ages five to fifteen. I have designed and led arts and crafts activities, organized athletic competitions, and helped children complete their homework. I am both a leader and a friend to these children; this experience will make me a strong swimming instructor for children at the pool. You also state that the lifeguard position requires extensive swimming experience. I have played on my school’s water polo team for four years and was promoted to team captain this year. I often lead clinics to improve my teammates’ swimming skills; this has been excellent practice for becoming a swimming instructor. I also received Red Cross Lifeguard Certification, so I am well aware of current safety procedures. I am passionate about teaching children proper swimming techniques and keeping the town pool safe for the public. I have attached my resume, and will call next week to see if we can arrange a time to discuss the position together. Thank you so much for your time and consideration.